In today’s 24/7 tech world, our kids no longer have any safe places. When we think about all the challenges our teens face even without the tech, it pales in comparison to what any of us experienced growing up. Their out of control schedules combined with all the academic pressure is already enough to raise serious concerns about the well-being of our sons and daughters, but tech is taking things to a whole new level. Our kids are not okay. 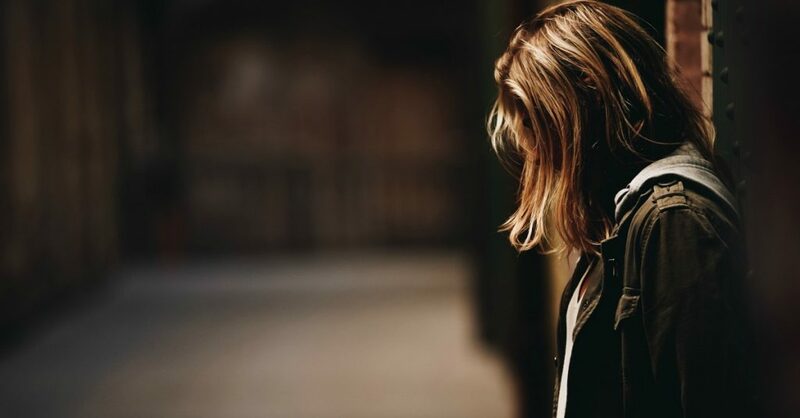 A troubling new study was just released with findings that show ER visits for suicidal thoughts and suicide attempts have doubled among young people in the last ten years. And you guessed it, social media and cyberbullying are both considered potential causes. It’s a struggle to comprehend how our kids maneuver the landmines of living in a projector screen society when already weighed down by insecurities, body changes, and conflicting self-awareness. And the reality is, most of them aren’t navigating it well at all. Our role in helping them is vital. Having raised three teens in the middle of all of this, I have no doubt that living in a culture crazed with non-stop communication is one of the biggest threats to raising healthy, well-adjusted kids. Trying to cultivate self-worth, self-love, and self-awareness inside a noisy, predominantly digital, and often unauthentic world filled with texting, snapping, posting, and tweeting about everybody’s business is almost impossible. Not to mention the unforgiving harshness of the comparison game being played out on social media. Most of us grew up not knowing what was going on with our friends or the world except through face to face communication, in-class note passing, or talking over an antique gadget connected to a wall. Can you imagine a cord long enough for us to drag our earpiece to the mall, ballfield, or park? Teen drama, for the most part, was contained to the school day. Once we left the hallways of our high school to head home, we could escape from it all, at least temporarily. Our teens don’t get that refuge anymore. Instead, they are constantly connected. Their phones have become a fixture in their palms from dawn to dusk; some kids even sleep with them. Online gaming is a realm of its own, keeping teens in the space of virtual reality rather than experiencing everyday life. For all of these reasons and more, our role as parents in providing them a safe space to just “be” has become more important than ever. We need to be their safe space, and we must set more boundaries and create more opportunities for our kids to be unplugged. One way to do this is by setting ground rules for cell phones and other technology when our kids have friends over. As soon as their peers walk in the door, the phone must be dropped in a box or basket for the duration of the visit. No exceptions. The result is carefree timelessness for kids to be kids and connect in the present moment. Something they sorely need. A rule we still have in our home when our adult kids visit is no phones at the dinner table. Instead we talk about all kinds of things. And it doesn’t always have to be, “How was your day?” type stuff either. Teens have plenty to talk about, the key is meeting them where they’re at. This list of 100 questions to ask your teen is a great place to start. Teens also need us to demonstrate the value of healthy communication: face-to-face, vulnerable sharing coupled with compassionate listening. The more they experience honest, human interaction, the easier it will be to see through the smoke and mirrors of social media. Too many of our teens are buying into the illusion of meaningful connection via technology. The constant contact waters down authentic relationship and is a breeding ground for hurtful and viral rhetoric that can destroy an adolescent’s sense of identity and purpose. Seeing tweens and teens navigate through these dark and rising waters and the way it so often pulls them under, breaks my heart over and over. Since our teens won’t always want to open up to us, it’s crucial for them to have other trusted adults and role models in their world. The more people who can be there for our kids as a sounding board the better. The truth is, I’ve been doing this mom gig for 25 years, and I still don’t know what the heck I’m doing. If any other adult is willing to engage with my kids, I’m grateful and all for it. It takes a village is no lie. Honestly, it’s not just our kids who need more time to just ‘be.’ To breathe and take in the now. Most parents are struggling with this themselves, but making an effort to model this for our kids may be the greatest gift we can give them. None of us are immune to the distractions of this present day and age. It takes a great deal of mindfulness and intent for us to carve out quality time to interact with and enjoy the people we love. It takes a concerted effort to engage in meaningful conversation. A dear friend of mine decided to meet this challenge by implementing something called, “Phones off! Family on!” She and her husband have two teenage girls at home, and during this time of no phones, they do things as a family like cooking together, playing board games, going on a bike ride, even watching a movie—but with no phones! No, there are very few safe spaces for our kids anymore, unless we step in and make them. 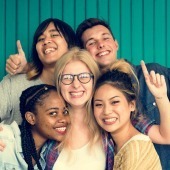 Setting boundaries, carving out time for meaningful connection, and spending more unplugged time as a family are a few of the ways we can help our teens become healthy adults in today’s tech-driven world. Everyone needs downtime to thrive. The more we help our teens disconnect from the cyber world and find joy in real-time relationships, the more we help ourselves as well. This was a contributed post from Sheby Spear. She is a sappy soul whisperer, sarcasm aficionado, pro-LOVE Jesus adoring mom of 3 Millennials writing stuff & doing life w/ hubs of 25 yrs. She is the co-author of the book, How Are You Feeling, Momma? (You don’t need to say, “I’m fine.”) You can read her open heart about the revelations, screw-ups, gaffes, and joys of motherhood on her blog shelbyspear.com, around the web, and in print at Guideposts. Parenting Teens and Tweens is hard! But we’ve got more to help you make it a little easier.